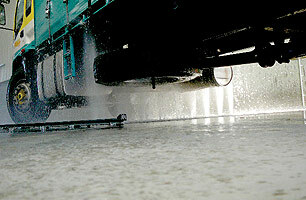 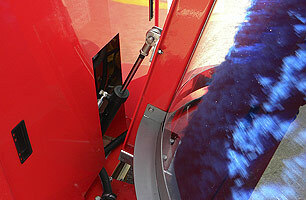 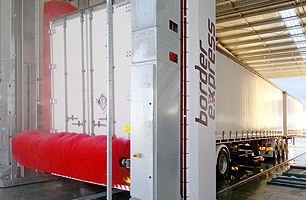 The HT4PL-4 is the fastest Bus wash machine in the world! 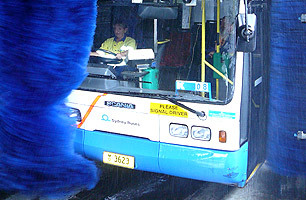 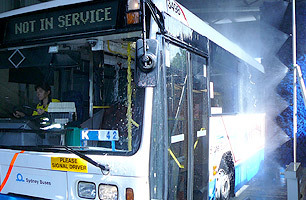 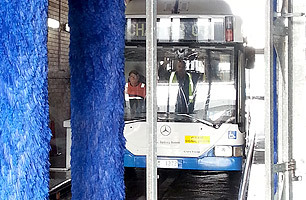 It has the capacity to wash a 12 metre bus in 60 seconds. 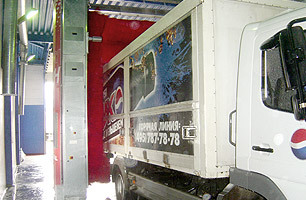 Ideal for large commercial fleets. 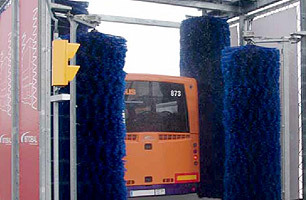 The 4PL range was specifically developed for large fleets of buses. 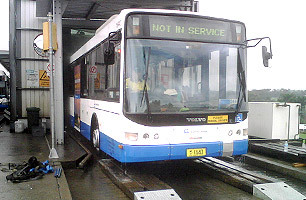 Capable of really surprising times – up to 1 bus per minute – due to the sheer size of the machine and the fact that it is fixed in place, with the vehicle itself moving through it. 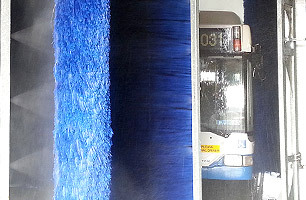 The HT4PL-4 can be configured to include a pressure wash, you can also customise further with an Under Chassis Wash, perfect for trucks and buses travelling long distances on country roads with dirt surfaces. 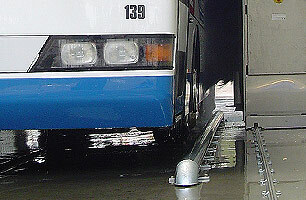 Two hot-dip galvanised steel columns fixed to the floor by two anchoring plates and joined together by a profile on top. 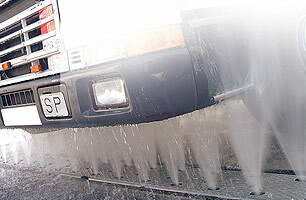 Four brushes 1.20mØ to adapt better to the vehicle outline.